Made of beaded-edge satin ribbon. 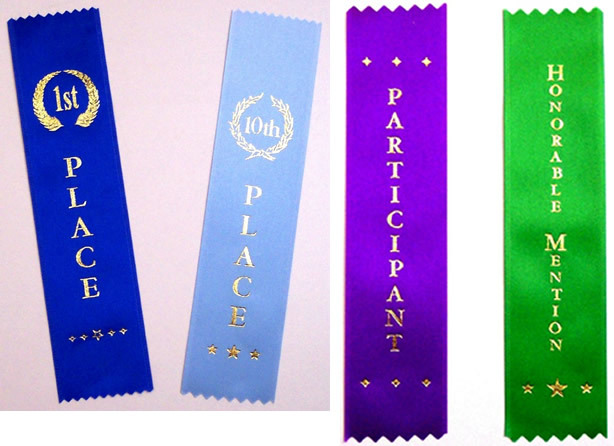 Available in 1st thru 10th place, Honorable Mention (Green) or Participant (Purple). Traditional placement colors for athletic events. 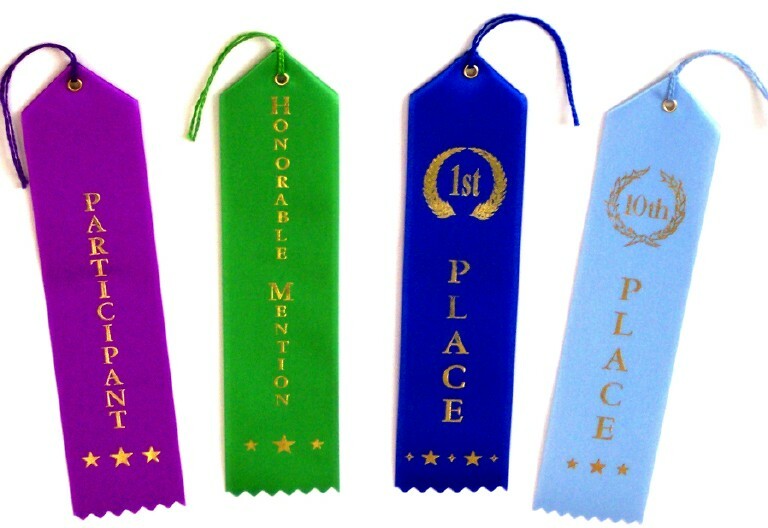 Available in 1st thru 10th place, Honorable Mention or Participant. Available in 1st thru 10th place. Choose 1, 2 or 3 streamer. Rosette heads are 4″ diameter; all streamers 8″ long.